A capacitor is a typically cylindrical device which stores power to start the motors on your air conditioning system. 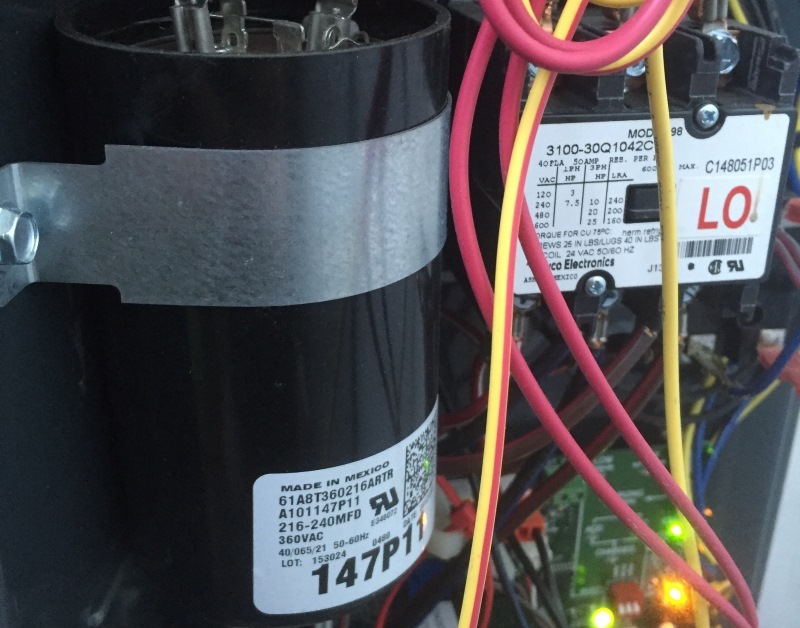 Many times in South Florida a power surge can cause the capacitor to fail. This requires replacement of the capacitor. Also, there are two types of capacitors, run and start. A start capacitor is typically used to start a compressor that can not start by itself. Usually this is a sign that the compressor is getting to the end of its useful life. Capacitors come in many sizes and are rated in microfarads. Pure Air can test these capacitors if there is a question on if it is operable or not on any maintenance or service call. These are tested with an amp meter after the capacitor is disconnected from the system.